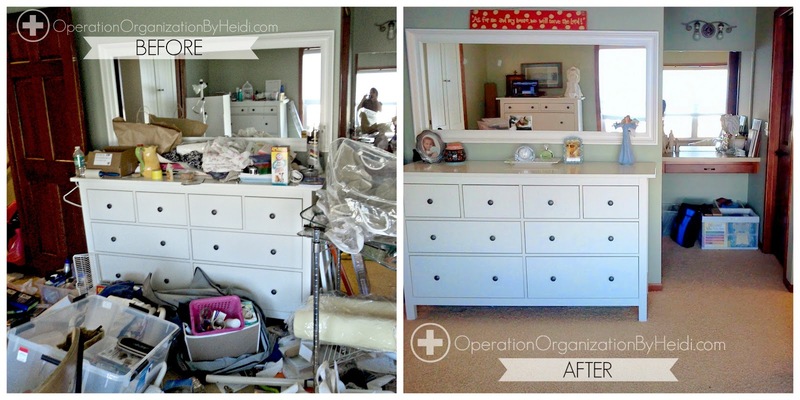 Operation Organization: Professional Organizer Peachtree City, Newnan, Fayetteville, Senoia,Georgia: Peachtree City, GA Professional Organizer: Master Bedroom Before/After Reveal! 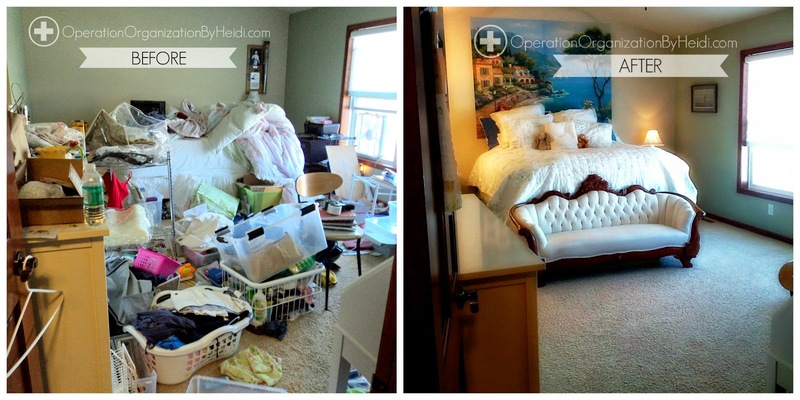 Peachtree City, GA Professional Organizer: Master Bedroom Before/After Reveal! 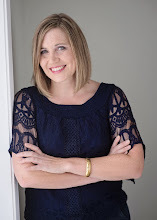 Occasionally, my fantastic clients graciously volunteer to share the amazing transformation of the spaces we work on together. 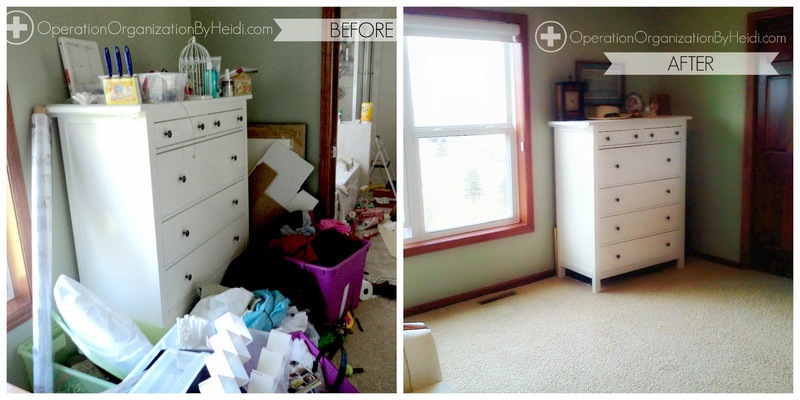 Several of the other rooms in the home had undergone some renovation / repainting, and clutter began to build in other rooms of the home as a result. 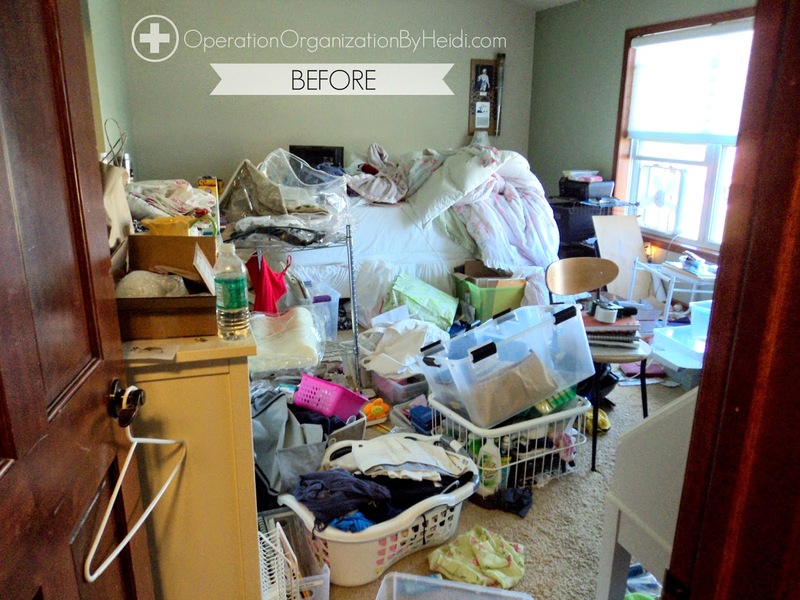 The homeowner was delighted to be able to add a few decorative updates in the room like that beautiful mural and antique sofa after all the excess clutter was sorted and either relocated to another area of the home, or removed. 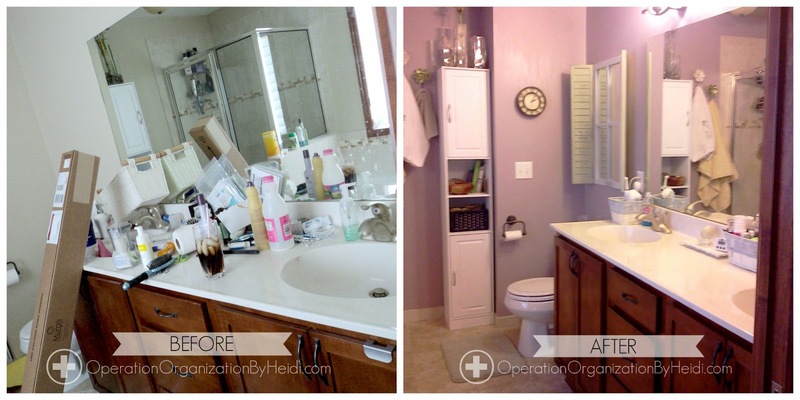 Here is a before / after of the attached master bath. After it was clear, it got a fresh coat of paint and a a few additional decorative wall hangings.